Fasting as little as eight days a year could help bodies become healthier, according to new research from the University of Southern California. People undergoing chemotherapy treatment often suffer damage to their immune system, leading to additional health complications. Similar challenges are faced by the those experiencing autoimmune deficiencies and some seniors. These effects could be treated simply by not eating. 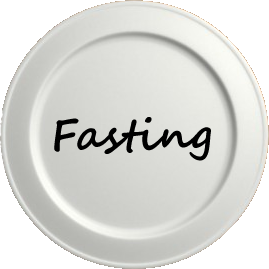 Fasting two to four days at a time every six months causes stem cells to awake from their normal dormant state, and start regenerating. Researchers discovered this practice destroyed damaged and older cells, and caused new cells to be born, effectively renewing the immune system. This is the first time any natural intervention has ever been shown to trigger this self-renewal. In mice and humans, white blood cell counts were significantly lowered after long periods without food. These bodies are vital to the human immune system. But, when their numbers decline to a critical point, pathways for hematopoietic stem cells were switched on. These cells manage the immune system and generate new blood. "When you starve, the system tries to save energy, and one of the things it can do to save energy is to recycle a lot of the immune cells that are not needed, especially those that may be damaged," Valter Longo of the USC Davis School of Gerontology, said. Going without food for 48 to 96 hours shifts human bodies to consume stores of fat, glucose (sugar), and ketones (created when fats are broken down for energy). Unhealthy white blood cells are also broken down, so that their components can be reused for the next generation of cells. This process is akin to recycling for the immune system. After a period of fasting, human immune systems generate new blood cells when nutrients start flowing back into the body. Researchers at USC wanted to know what drives body systems to rebuild the cells. Protein kinase A, an enzyme known to inhibit cell regeneration, was reduced in the systems of people who are fasting, the study found. Concentrations of a growth-factor hormone called IGF-1 were also lowered in those who have not eaten in days. That biochemical has been shown to promote the formation and growth of tumors, as well as the damaging effects of aging. "[I]f you start with a system heavily damaged by chemotherapy or aging, fasting cycles can generate, literally, a new immune system," Longo said in a university press release. Study of the role of fasting in stem cell generation and human health was profiled in the journal Cell Stem Cell.